Joyce Porter is a busy and well-known actor in the Chicago film community. After receiving her M.A. 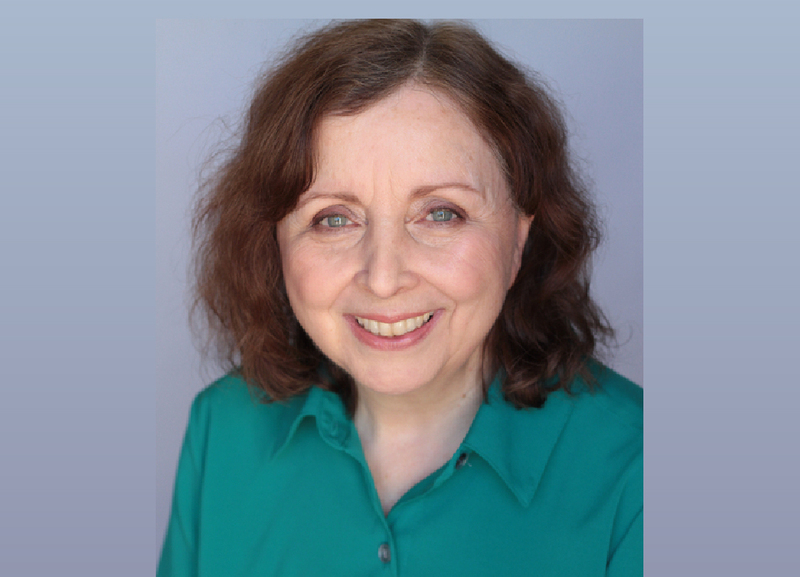 in Theater from Northwestern, she had a long and satisfying career as a professor of theater, film, and humanities at Moraine Valley Community College in Palos Hills. One of the many classes she developed was an advanced acting class that included an on-camera unit, as well as a very popular film appreciation class. She switched to acting full-time in 2002 and since then has been in over 50 films, playing in roles ranging from farcical to highly dramatic. She has also worked in TV, voice overs, and commercials. Joyce is having a good year. Most recently, she had a small role in the new series South Side. This summer, Joyce will film a pivotal supporting part in the feature The Timemaker, and she is excited to be filming a Western in New Mexico this fall. How did you get into the business? I was interested in performing almost my whole life. I started by taking dancing and singing lessons. Unfortunately my high school did not have a theater program. My freshman year in college my choir director said a period play was looking for some people to sing. I was cast and got hooked and changed majors. While I was teaching, I started doing extra work and got interested on camera work. When I was offered early retirement, my husband, whom I had met in a play, encouraged me to take it and pursue acting full-time, which I did. I worked on-stage and on-camera, but retired from the stage a couple of years ago and have been focusing exclusively on camera and some voice-over since. What obstacles have you faced specifically because of your gender? When you look at breakdowns, it is very evident that the preponderance of roles are male, even though there are more women than men acting. That makes the odds for women getting cast quite unfavorable. However, I think at least as large of a challenge is when you add in ageism. The scriptwriters are young and when they do include older people, especially women, they are often caricatures of what an older person might be. You almost never see a depiction on-screen of a woman in her 60’s or 70’s who is a community leader, as often happens in real life. Best thing to ever happen to you to remind you that you are a woman? My husband and son. We were thrilled by his wedding a few months ago, and I am proud that he is in a related field, in lighting. Work you are most proud of? Off-screen, I would say the plays I directed, including the first Midwest production of Amadeus. On-screen, I particularly liked my scene in The Alley Cat because 1). I do so many character parts and this was simple realism. 2). The dialogue I improvised with an extra to look busy while I was in the background was, to my surprise, in the final cut. 3). The film was very high-quality and won The Chicago Award at the Chicago International Film Festival as well as other awards. 4). I believe it’s the only feature film I’ve been in that was written and directed by a woman (Marie Ullrich), and 5). The lead, and the person with whom I had my scripted dialogue, was one of my former acting students. I don’t know if I influenced her but it made me proud. How do you describe the most significant #metoo moment of your life? At some point in college, I was very interested in switching majors to Radio and TV. I don’t think there was a film department. I made an appointment with a faculty member to discuss it, and he advised me not to do it. He pointed out that as a woman I would not be on or behind the camera, just writing copy, which is not what I wanted. I can’t feel too bad about it because I had a very satisfying teaching career, but a few years later I would have had a choice. How have professional attitudes towards women evolved during your career? I was lucky enough to be in a theater department at Champaign that included several strong women in the faculty, so I didn’t even realize for a long time that it was unusual that my teaching partner Kate and I developed a two-woman college theater department and directing season. I was at a theater conference one year and realized that women were in the minority. Back in the 70’s, very few women were directing or stage managing, but that has changed dramatically on-stage. Women are still in the minority, directing for film and television, but we are making inroads. Trapped on an island, what essentials must you have? I guess there wouldn’t be any internet, so besides the necessities of life, I would want some good books, a music player with extra batteries and music choices, and a bunch of paper and pens. Many people have told me I should write my own script and that is about the only way I’ll ever sit down long enough to do it. If you had a time machine, what would you say to your past self? Don’t stop taking singing lessons and don’t hesitate to ask a polite question if you feel you’ve accidentally been overlooked or a mistake was made. I know I lost a couple of parts when I was young by not speaking up. If you could have a one-on-one with anyone who would it be? And why? Meryl Streep, because I admire versatility in acting and she has done all kinds of roles, as I strive to do. To see the up-to-date list of Reel Women, click here. Interesting article on Joyce. I knew her as an instructor at Moraine and didn’t realize how involved she was in acting now. What wasn’t mentioned was Joyce literally, not figuratively, but literally saving Oak Park Festival Theatre from bankruptcy and dissolution in 2002. She inherited a theatre which was deeply in debt . Joyce came in as President of the board and during the following seven years reformed the theatre, worked on her vision of adding programming beyond Shakespeare with a new artistic director, brought in talent to the board, directed the board effectively, found new sources for funding and returned the theatre to profitability. She retired from the board to pursue her own acting career full time, but the theatre remains active. In 2013 the new board formally recognized Joyce’s contributions with the Marion Karczmar Award. Without Joyce’s firm but respectful leadership, a strong possibility exists that OPFT would no longer exist. The hundreds of actors, directors, and technical people who have worked in now multiple shows each season at OPFT owe her eternal gratitude.